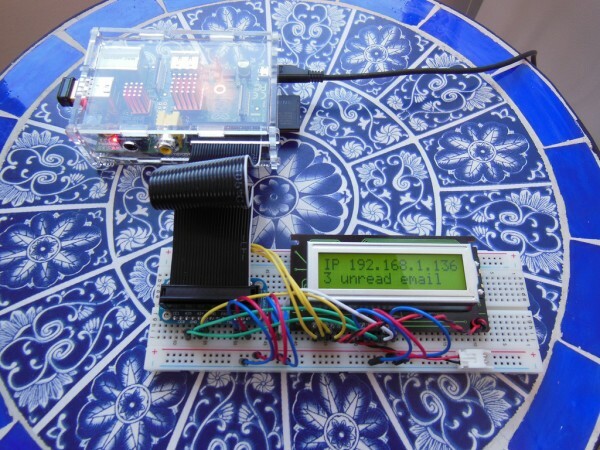 Raspberry Pi E-Mail + LCD Tutorial Mashup « Adafruit Industries – Makers, hackers, artists, designers and engineers! Just thought I’d share a simple little mashup I made between two of the Adafruit Learning System Raspberry Pi Tutorials. I’ve never done anything in Python before (only C++ and other languages), so this might look sloppy, but it seemed to work. I’d appreciate any suggestions on how to clean it up. I’m especially unsure about the inclusions (or as you may call them, imports?). 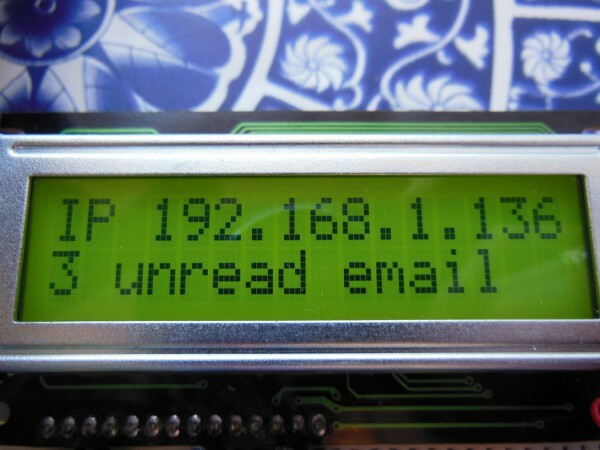 I combined the 16×2 LCD tutorial with the email LED tutorial to get the LCD to display the RasPi’s IP (I was running headless) and how many unread emails I had in my Gmail inbox. Source code and more here!